What Does REO Mean in Real Estate? The acronym REO stands for "real estate owned," and refers to properties that banks or government agencies take possession of through foreclosure. Buyers often like REO properties because the owners -- usually banks or government agencies -- often sell them at cheaper prices. But REO properties also come with their own challenges; some may be in bad condition, and depending upon which bank or agency owns the property, you'll have to work with a licensed real estate agent to make a bid. You can generally buy foreclosed homes at three different points. You can purchase one early in the foreclosure process, before it reaches auction or before a bank or government agency takes possession of it. You can also buy a home at a public foreclosure auction. Finally, you can buy a home after a bank or government agency has taken it over. This last stage is where you'll find REO properties. The main benefit of buying an REO property is the price; these homes are generally listed at below market-value because the banks and government agencies that own them want to sell them as quickly as possible. But don't expect to get these properties too cheaply. 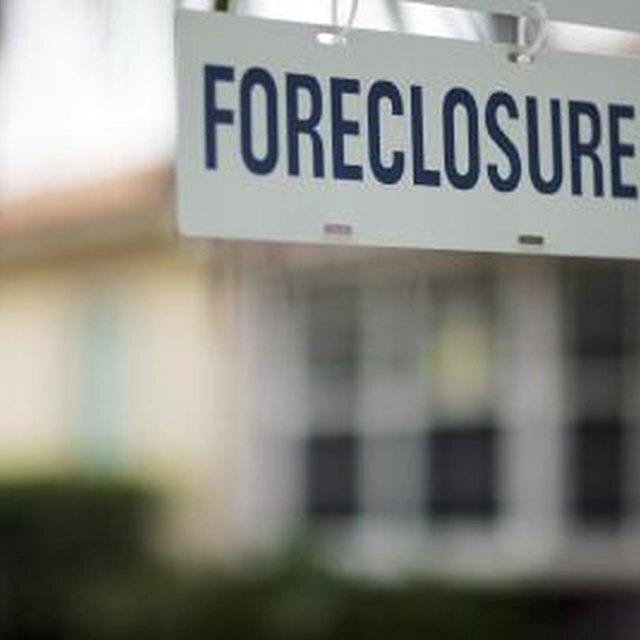 Residential properties in some stage of the foreclosure process or owned by banks sold for an average price of $171,704 in the fourth quarter of 2012, according to research from foreclosure Web site RealtyTrac. Realtor.com reported that across the nation all homes in the fourth quarter of last year sold for an average of $178,900. REO properties often are sold in "as is" condition, meaning that the owners will make no repairs to them. And, foreclosed homes often reach the market in bad shape. That's because their owners often don't have the money to invest in general maintenance. Other owners, angry at losing their homes, intentionally damage their properties before their bank can take them over. This is why it's so important to pay for a home inspection before you purchase an REO property. An inspector can tell you what problems a home has and how much it will cost to fix them. Too many costly repairs might make that REO property less of a bargain. If a Foreclosed Property Has Been Sitting Empty for a While, Will the Bank Take Less for It? If you want to buy an REO property owned by a private bank, make an offer just as you'd do with any other type of home. You can usually find such properties listed on the websites of major U.S. banks or in regional multiple listing service databases; in the latter case, you'll need to contact a real estate agent to view properties and submit a contract. You can also find foreclosed homes offered through the U.S. Department of Housing and Urban Development and Fannie Mae's HomePath program. To purchase an REO property owned by the U.S. Department of Housing and Urban Development, you must work with a real estate agent; that agency only takes offers from licensed agents. The same is true of Fannie Mae's HomePath program. Your agent will make this offer through the HomePath Web site.